The South Florida medical community is making a pre-emptive strike on diabetes by encouraging people to get screened to see if they are at risk of developing the quiet killer. "Diabetes is a silent killer," said Dr. Joseph Gutman, a lead endocrinologist at Mount Sinai Medical Center in Miami Beach. Diabetes is the seventh-leading cause of death in the country, according to the Centers for Disease Control and Prevention. Gutman has specialized in diabetes for 27 years. In September he began "Test My Relatives," a campaign to get family members of diabetic patients to have their blood sugar levels tested. "What I want is to outreach in the community, to help people with diabetes and offer them treatment," Gutman said. A normal fasting blood glucose level is usually under 100mg/dl and diagnosis for diabetes is over 125mg/dl. A pre-diabetic's blood sugar level lies in between 100 to 125mg/dl. Pre-diabetes is an opportunity for people to modify their daily routine. All it takes is a nutritious diet, daily exercise and being vigilant about checking blood sugar levels. Being pre-diabetic is not a sentencing -- it is a warning. Treatment and lifestyle changes can prevent or delay the development of the debilitating disease. But those at risk should be warned: pre-diabetes possesses a mean medical backhand. The condition is difficult to detect without getting screened. Teddy Speropoulos is the director of the Memorial Diabetes and Nutrition Center in Hollywood. 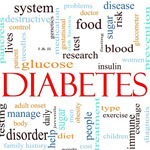 "Very often pre-diabetics will not have any symptoms. So if someone is at risk, testing is often the only way to get help," he said. The center, which treats about 300 patients a month, takes appointments for new patients from South Broward as long as they have a prescription. James Washington, 59, is pre-diabetic. He was living a sedentary life and a frequent consumer of fast food when he arrived at the center. "I thought the four-hour class was going to be boring but it was the best thing. Without them I might be dead -- without their support and education," Washington said. Washington has a family history of diabetes -- his uncle and cousin, both dead, suffered from it. After seven months at the center Washington said he lost 30 pounds, walks daily, eats fruits and vegetables, and checks his blood sugar levels. "I exercise, walking three miles a day. I sleep a lot better. I couldn't walk a mile when I first started," Washington said. Having a family history, poor diet, and a lack of exercise were all working against Washington. Other characteristics that put someone at risk include high triglycerides, high blood pressure and polycystic ovary syndrome. Gutman said that someone with a family history and a body mass index over 30 has a 70 percent chance of being diagnosed with diabetes in their life. Gestational diabetes or having a baby of more than nine pounds increases the risk of developing Type 2 diabetes. Diabetes America reports 40 percent of women with gestational diabetes will develop Type 2 in five to 10 years. Ethnic groups such as African Americans, Hispanic Americans, Asian Americans, and Native Americans are at a higher risk. The skin condition Acanthosis nigricans, a darkening and thickening of the skin in its own folds and creases, is an indicator unique to Type 2 diabetes. Dr. Luis Gonzalez-Mendoza, head of endocrinology at Miami Children's Hospital, says Type 1 and Type 2 diabetes manifest differently. Contracting Type 1 is not related to daily life, although unhealthy habits can worsen its progression. Type 1 is an innate disease in which the body stops producing insulin. "In Type 1 there is very little you can do. It has nothing to do with lifestyle," he said. People can still be screened for Type 1. Researchers have been able to identify biochemical antibodies that indicates someone is at risk for developing Type 1. The detection of one antibody means the patient has a less than 25 percent chance of developing Type 1 diabetes within five years. Two antibodies increase the percentage to between 25 and 49 percent. Three or more antibodies and the risk of contracting Type 1 diabetes is greater than 50 percent, according to Della Matheson, trial coordinator at the University of Miami Diabetes Research Institute for the Type 1 diabetes study. "It's an aggregate risk," said Matheson, "Additional testing will also help to better define the risk categories." For Type 1 diabetics, screening and education could mean the difference between sleeping in your own bed or a hospital bed. Allen Dray, a research scientist at the Florida Department of Agriculture, had a close call with his eldest daughter Evie, 13 years ago. She had been feeling fatigued and thirsty when Dray took her to the doctor and found out she was a Type 1 diabetic. The disease had been uncontrolled for so long she had to be admitted for 11 days. Dray doesn't have a family history of diabetes and his wife was adopted. Their three other children were screened and their youngest, Rebecca, was found to be at moderate risk. Dr. Jay Skyler, professor and deputy director of the Diabetes Research Institute at the Miller School of Medicine at UM, detected at least two of the biochemical antibodies in her bloodstream. Rebecca grew up watching her older sister manage her diabetes and joined an oral insulin study at the Diabetes Research Institute between 2000 and 2003. Rebecca, now 14, was diagnosed for Type 1 diabetes in June. She gives herself insulin shots and checks her blood sugar. "The difference between our experience with Evie and our experience with Rebecca has just been tremendous. It's just the education process of being ready or not," Dray said. For potential Type 2 diabetes patients, changing your lifestyle to incorporate healthy eating habits and doing more exercise can significantly reduce your risk of contracting the disease. Dr. Ronald Goldberg, associate director of medical affairs at the Diabetes Research Institute at UM, helped conduct a study through the Diabetes Prevention Program comparing lifestyle intervention with metformin treatment. Metformin is a capsule taken to control blood sugar levels. Lifestyle intervention participants took education classes, had regulated diets and increased physical activity by 150 minutes per week. They reduced the risk for Type 2 diabetes by 58 percent while metformin reduced the risk by only 31 percent. Goldberg and Skyler believe early detection and diagnosis is the key to arming patients. "The greatest benefit you're going to have is proportionate to how early on you can prevent this disease," Goldberg said.